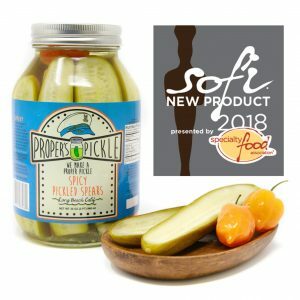 Home / Dill Pickles / Proper’s Famous Pickle Slices 32oz. Your favorite pickle slices in Hulk Size! Made with fresh Persian Cucumber, Cauliflower, Carrots, Garlic, and Dill. 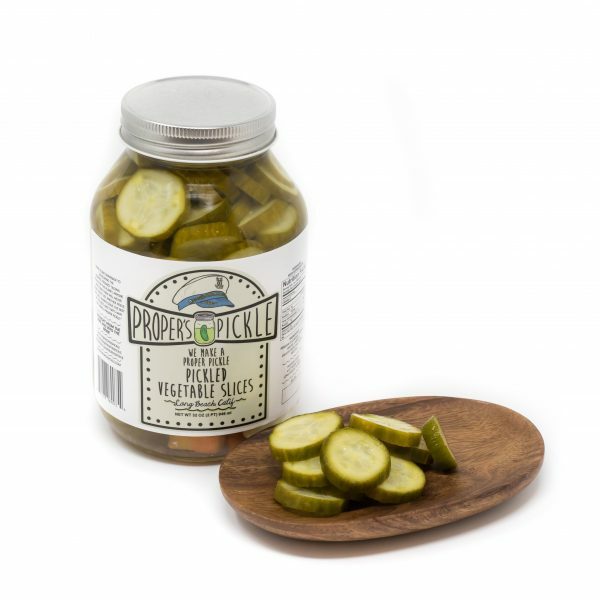 These jumbo jars are made for the pickle fanatics that can’t get enough Proper’s. Double the size of our regular jars and enough to share with everyone. 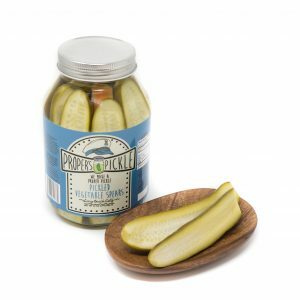 Your favorite pickle slices in shareable family size! 32 ounces of your pure joy and happiness. Of course, as with any other jar you will find fresh dill and a clove of garlic. You will also get our traditionally simple brine of vinegar, water, and salt. We use the freshest Persian Cucumber due to its thinner and crunchier skin so you do not end up with a rubbery pickle like most of the store bought brands. We also include a mixture of carrots for the hint of sweetness that they offer. You also get a larger amount of the signature, pickled cauliflower that Proper’s places in every jar of dill pickles. Don’t forget, as always we never add any preservatives to any jars, so you always get the freshest pickle possible. You will absolutely love this aquarium of a pickle jar. These pickled vegetable slices are great to bring to picnics and barbecues. The great thing about buying them in a larger jar is that you are more likely to share them with others. The downfall of buying them in a larger jar is that you are more likely to share them with others. 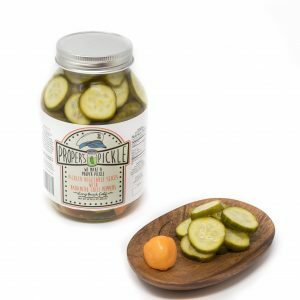 However, if you show up at the next summer bbq with these bad boys, you will go down in history as the person who brought the “best pickles ever” to the party. People will cherish you, your peers will look to you for guidance in life, the villagers will carry you on their shoulders and your life will change forever. Well maybe not, but everyone will love the pickles you brought and maybe even get a couple high-fives!!! So don’t let this life changing opportunity pass you by. Get yourself a jumbo jar of these Proper dills and be the life of the party. Or at least be the guy who brought the delicious pickles!